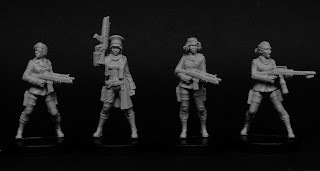 Khorosho Productions: New Resistance Veteran Heads and Sprues on sale plus special offers! 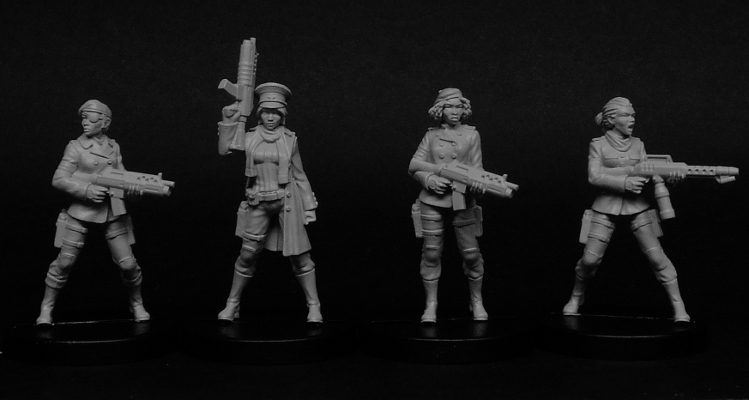 New Resistance Veteran Heads and Sprues on sale plus special offers! 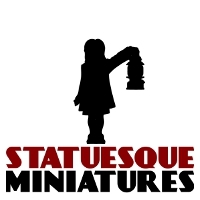 Statuesque Miniatures is pleased to announce the release of the a couple more accessory sprues for the Resistance Fighter range. 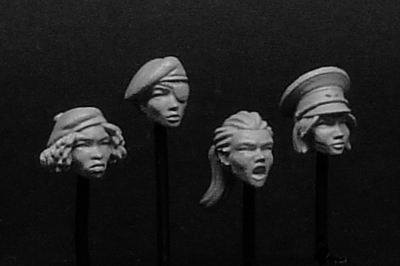 The Veteran Heads sprue can be used to give more individuality and character to your Resistance Fighter force. As with all the head sprues, these heads can be used on any figure in the Reistance Fighter range and a fully poseable. The Resistance Fighter Veteran Head sprue is priced at £1.90. Purchase 2-3 sprues for £1.75 each or 4 or more sprues for only £1.60 each! 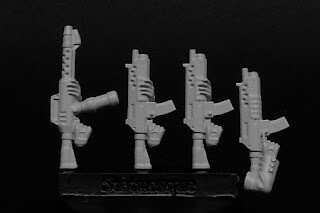 The Weapons 3 sprue allows the Resistance Fighters access to the latest S.O.E. weapon technology. Featuring three Combi-Rifles with integrated grenade launchers and a deadly flame thrower, this sprue is designed for use with the Resistance Fighters, Resistance Cell Officer and Resistance Recon sets. For greater conversion potential, these weapons have the stocks attached. Simply snip off the stock to use the guns with the Resistance Fighter figures. The Resistance Fighter Weapons 3 sprue is priced at £2. Puchase 2-3 sprues for £1.85 each or 4 or more sprues for only £1.70 each! For a limited time only you can get BOTH these sprues FREE when you purchase the Resistance Cell set, saving over 15% on the combined price! This offer will run until January 5th or while stocks last. Not only that, you can also purchase 5 sets of Beret Heads or 5 sets of Officer Weapons for only £5, with even more savings for purchasing multiple sets! Again this offer runs until 5th of January or while stocks last. Finally, Ezmeralda Tyke have come over all Christmasy (she is an elf after all) and can be purchased at a price of only £3! Get her while you can as she is being discontinued once stocks run out.